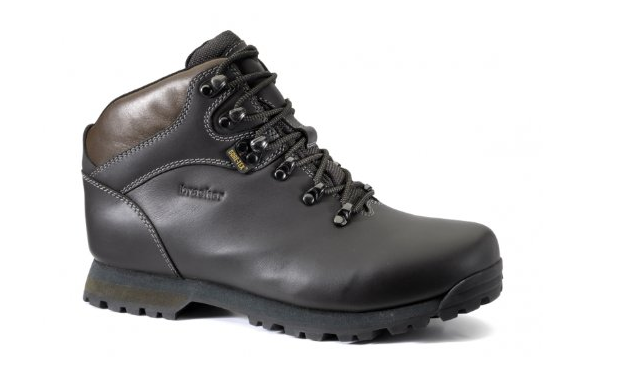 The leather boots that give no blisters, feature a Gore-Tex lining and are 100% windproof, waterproof and breathable. Lightweight, resistant to shocks, amazing on descents, great on wet cold weather, these boots fit better a wider foot and are AO crampon compatible. Elegant, classic, sturdy hiking boots do still exist! I am a pretty conventional kind of gal and I do some hiking –not the heavy duty kind of hiking, though. Finding a good, nice pair of leather hiking boots is not very difficult, but finding the classic looking boots is a challenge, indeed. First time I saw these I couldn’t be happier since they were looking just the way I wanted- classic, sturdy and elegant. Even though the boots are made of leather, they didn’t need to be broken in and provided me fitting comfort quickly. As a matter of fact, looking back, the boots never gave me any blisters. 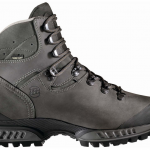 There is Gore-tex lining in these boots and they are 100% windproof, waterproof and breathable. The boots feel light enough (considering they are made of leather) and work amazingly well when light trekking, hill walking and hiking in any weather. This goes for the downhill and fast paced trail-walk just as well. The boots are easy to clean and I do take care of them from time to time- this is important to the lifespan of all leather boots. I wax them and waterproof-treat them often. There are few seams on these boots and this means less rubbing and better looks. These boots go great in cold weather and warm weather but their best performance is in the wet cold weather. They manage to keep my feet dry and warm as they fit a good pair of warm, thick, wool socks. The boots run fairly wide and the integrated tongue protects against the elements. The lace hooks are reinforced and the small leather tab on the heel makes the boots easy to put on and to take off. 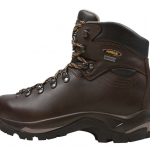 The boots are the best on soft terrain, light hiking, long distance hiking also, through the light snow. They are also AO crampon compatible. They felt narrow in the beginning, but this is common with the leather boots as leather gets softer with each wear. I would have liked to be able to take these even on some heavy duty trails… I have to buy other boots for that. In the summertime, the boots don’t manage to keep away moisture, but this is also a leather thing. There is no rubber protective toe cap and, after hiking for hours, the toes get quite sensitive. All in all, though, I still like these boots a lot and I’m sure I made a great, long lasting, investment when buying them.